The franchise industry in India is predicted to go up four times by 2017. The Indian food industry is expected to touch a whopping Rs 400,000 Crores by 2018 (Report by NRAI &Technopak in 2013), and is all set to see a change in the pattern of its growth. According to a report published by KPMG, the franchise industry in India is predicted to go up four times by 2017. This coupling of the franchising system with the entrepreneurial restaurant industry will be a new driver of growth for employment and consumption in India. QSR which constitute 43 per cent of the chain market is expected to grow fastest at about 20 per cent as per the NRAI report, so is the casual dine which constitutes about 31 per cent of the chain market. Creating a model to keep this growth momentum will definitely require franchising to be part of that growth. Starting a successful restaurant and maintaining it has become more difficult with time, and creating a good brand name can take time sometimes. Franchising provides an opportunity of inheriting the credibility of a recognised partner and reaching out faster to more consumers. The franchisor brand can provide the necessary momentum in the initial days to reduce the breakeven period and improve the financial ROI. Although, foreign brands have visibly received greater acceptance for getting franchised outlets in this industry, domestic brands also had made inroads in its own way. The nature of the relationship and the dependence on the main brand owner for a few fundamentals has been rustic in its own way and was mostly seen as a financial partner. The model at least within a town is surviving over a decade. Franchising as seen globally with a focused product approach (eg. Pizza, Burger, Sandwiches, Beverages etc. ), standardised systems and processes, evolved supply chains is a relatively new business concept in the local restaurant industry. It is rapidly gaining recognition and acceptance from aspiring entrepreneurs. With food market evolving at a great pace, domestic brands should replicate the successful franchising strategies used by their foreign counterparts and also create some adaptations with changing times in order to grow and scale up fast. 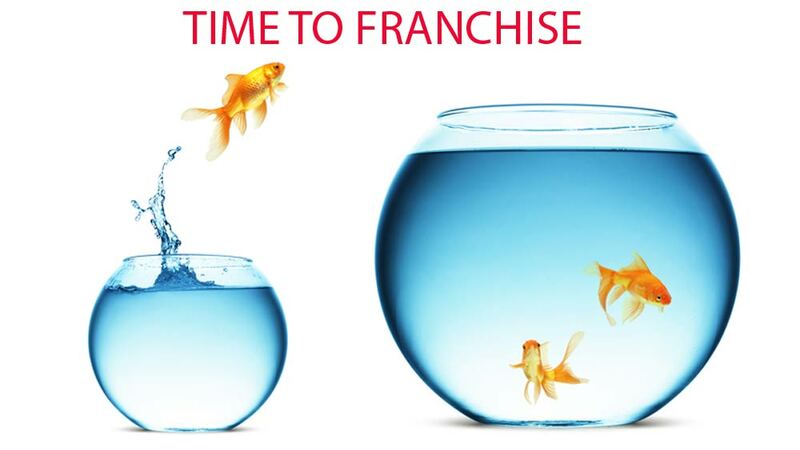 There are broadly two kinds of franchisee systems, one where an entity intends to open one or two locations and manage the business himself or herself and the other where the entity takes over a region and ensures franchisee operations are opened in different locations within that region and managed under their banner. The strategy to choose either of the above type will depend on the nature of business, quality of support, size of business, size of investments, speed of growth, uniqueness or non-replicability nature of the support, profitability model of the business etc. Although multinational players have spent decades on positioning their brands, identify their core competence and build on it, Indian entrepreneurs are learning from the past mistakes made by these giants and moving faster to gain ground in India. India with its diverse menu can easily create a range of products and supply chain solutions for the same to be scaled. Success will depend on the precise choice of product and the size of the need being catered to but the pace of success will primarily depend on how the balance of profitability is maintained by the brand owner and the franchisee thru the lifecycle of this journey. A drinks that fits the need of today's customer..